What is raw milk and why is it harmful? Explainer: what is raw milk and why is it harmful? The child’s death led numberous health authorities to issue warning about the dangers of drinking unpasturised milk. For more information on what unpasturised – or raw milk – is, here’s an explainer via The Conversation. Milk is a highly nutritious food, and an important source of amino acids and minerals such as phosphorus and calcium, which contributes to bone health. Historically, milk was prone to contamination by bacteria from cows that could cause severe illness in humans. This remains the case with raw (unpasteurised) milk. The tragic death of a Victorian toddler this week is a stark reminder of these risks. Pasteurisation involves heating the product to 72°C for 15 seconds. The method was originally employed to destroy bacteria in wine and beer that caused these products to spoil. It was quickly realised that this process could also be applied to milk to destroy harmful bacteria, and make milk safer for human consumption. 500 Bonsoy drinkers just got paid $25 million in a court settlement. Pasteurisation was first introduced in Australia in the late 1950s and remains a legal requirement for milk produced for human consumption in Australia. Nowadays, some of the important bacteria that pasteurisation targeted, such as those that cause tuberculosis, are no longer as problematic. So why do we continue to pasteurise milk? The animals we use for milking can sometimes carry other pathogenic organisms that are capable of causing disease in humans. They can be found on hides or shed in the faeces. Even healthy animals may be a source of organisms that are harmful to people. Such pathogens may be present in the farm environment, including soil, water, on pasture and in animal feeds. These pathogens can enter the milk during milking and if such milk is consumed, it can cause disease. The most common pathogens found in association with dairy farms and milking animals include bacteria such as Escherichia coli (E. coli), Campylobacter and Salmonella, but other pathogens such as parasites like Cryptosporidium, a type of gastro, may also be present. Campylobacter and Salmonella can cause severe diarrhoea and certain types of E. coli, particularly those known as Shiga toxin-producing E. coli (STEC), can cause very severe disease which impairs kidney function and may result in death. Milk is highly nutritious to bacteria. Bacteria can quickly proliferate if their growth is not inhibited. Stopping the growth of bacteria in milk requires either heating to kill the bacteria, or chilling, which will not kill the bacteria but will slow down their growth. E. coli, for instance, can go from ten cells to 100 million cells in just over six hours at 30°C. Only ten cells may be required to make someone ill. If such an organism is likely to be present, it’s important that any potential growth is stopped. These harmful bacteria have caused outbreaks and disease associated with the consumption of raw milk in many countries. 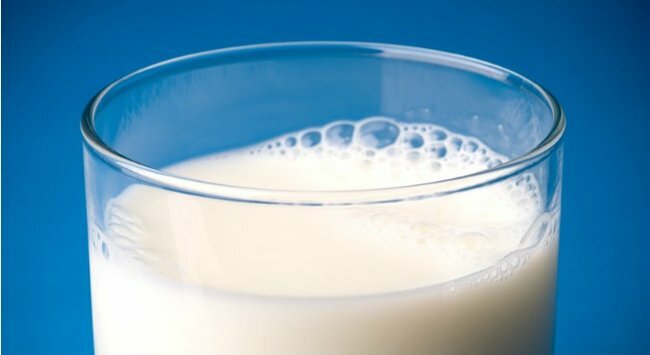 Data from the United States indicates that over a 13 year period to 2011, there were 2,384 illnesses, 284 hospitalisations and two deaths associated with the consumption of raw milk. In Australia, raw milk contaminated by bacteria such as Campylobacter and Salmonella caused at least nine outbreaks of disease between 1997 and 2008, leading to 117 cases of illness. Camel milk is a thing now? Just. Stop. It. So why do people choose to drink raw milk? Advocates of raw milk often claim improved health benefit and nutritional value, or desiring a product which has not undergone further processing, retaining bacteria naturally present in milk. But there is no evidence that the health benefits of milk are compromised by pasteurisation. The defining difference between pasteurised and raw milk is the bacteria that are present. As soon as milk is secreted from the udder, it is at risk of contamination by many different bacteria as it makes its journey to our table. This includes harmful bacteria. These bacteria can lead to severe illness in humans, particularly children and the elderly. For these reasons, raw milk continues to have a far higher risk of causing illness. Pasteurisation remains an important step in ensuring we can continue to enjoy safer, nutritious milk.